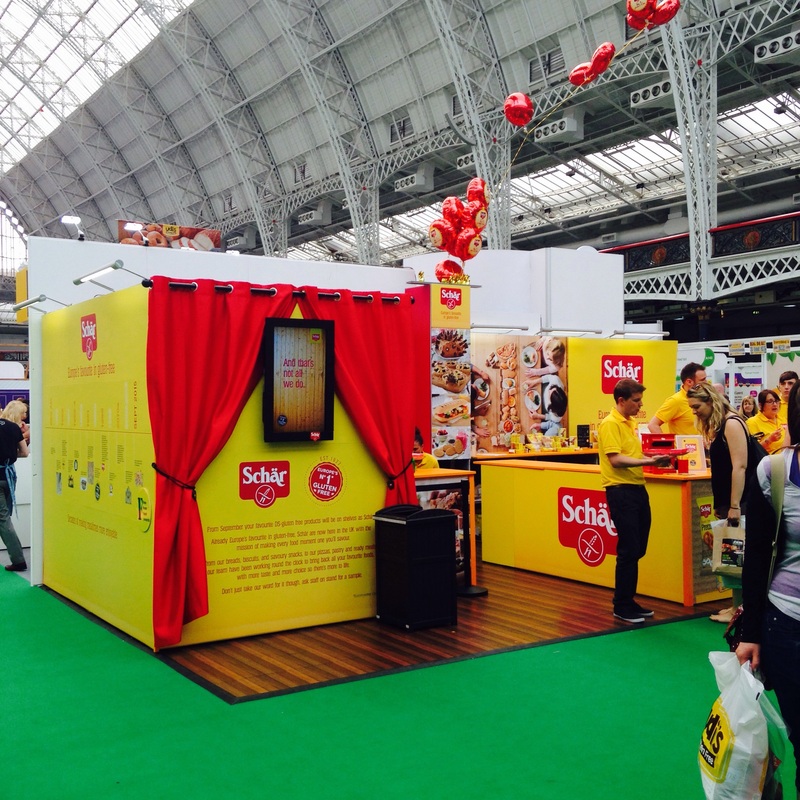 Yesterday I attended the first day of The Allergy and Free From Show, which is being held this weekend (3 – 5 July 2015) at the London Olympia. The show prides itself as being ‘Europe’s largest free-from family day out’ so I was really looking forward to seeing what was on offer and anticipated bagging myself a bargain or two. Upon arrival I was directed into a huge hall and I was taken aback by the sheer number of exhibitors attending the show – 221 to be exact! 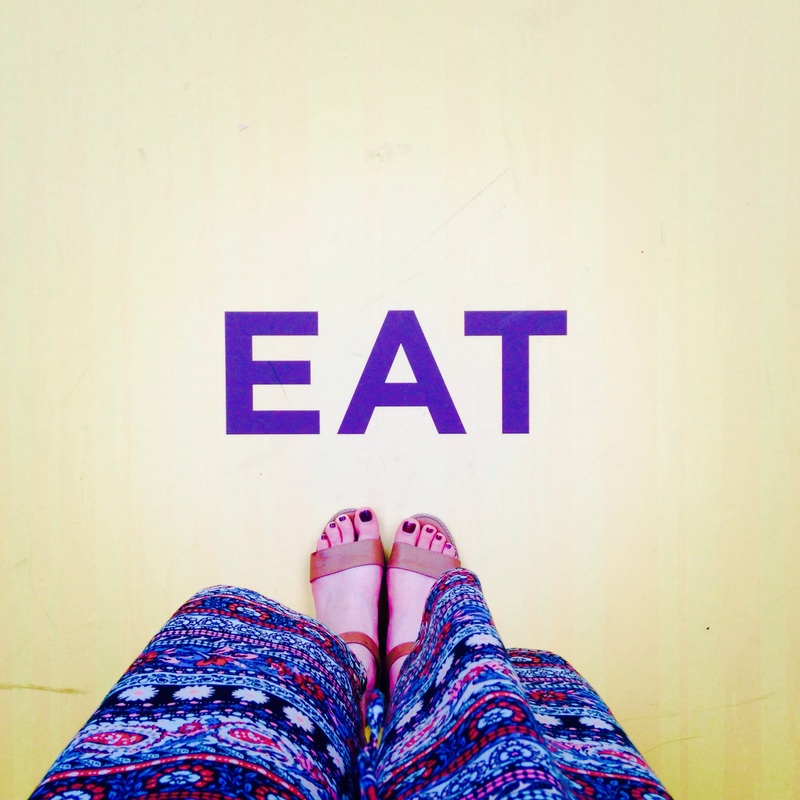 I am someone who ends up shopping at a number of different supermarkets in order to have more choice and to compare the deals on offer, so it was a wonderful to have so many products all under one roof – let’s just say, I was like the proverbial kid in a candy shop. A huge benefit of attending a show like this is getting the opportunity to try before you buy and the majority of the exhibitors also offer special deals on their products, so it’s worth bringing a bag and stocking up on your favourites. A lot of companies, especially the big brands, were showcasing new products and it was a great to opportunity to speak to companies face to face and give them feedback, which they were more than happy to receive. I also discovered so many brands I hadn’t heard of before, including Pudology, Sweet Rebellion, Venice Bakery and Dohertys. 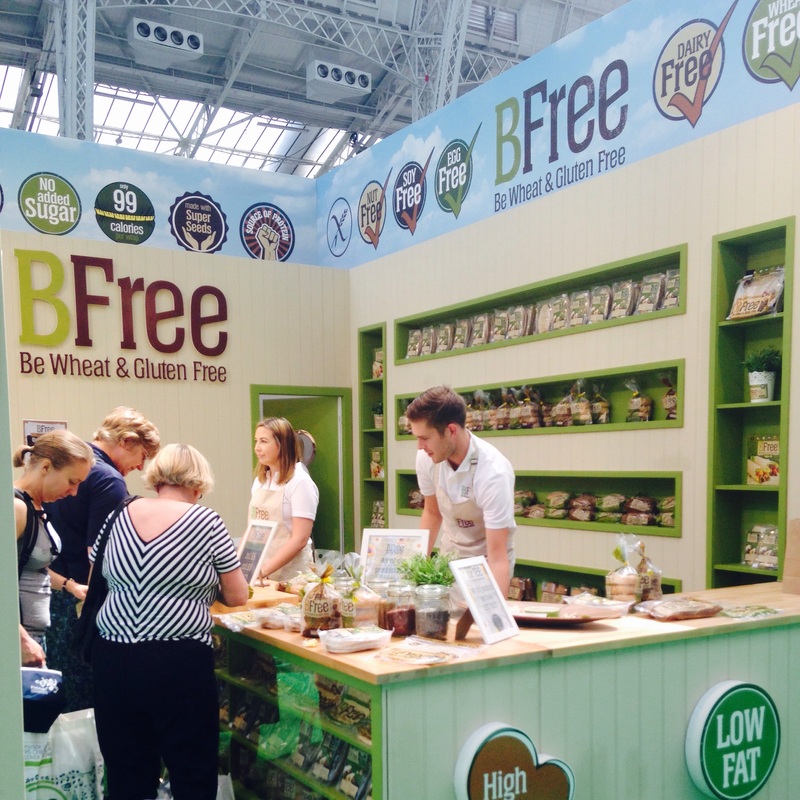 As you’d expect from an Allergy and Free From show, the majority of exhibitors were focused mainly on Gluten Free, Wheat Free, Egg Free and Dairy Free products, but there also quite a few companies exhibiting Nut Free and Sugar Free Products. 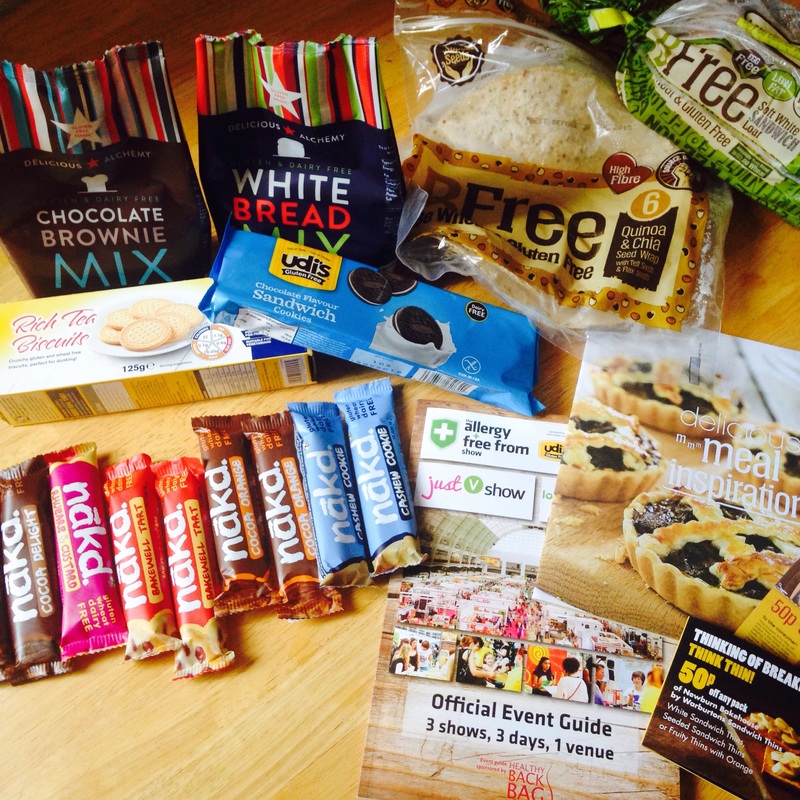 Despite the fact that the majority of food on offer was suitable for Coeliacs you still need to exercise some caution when sampling products as it’s not just a gluten free show. 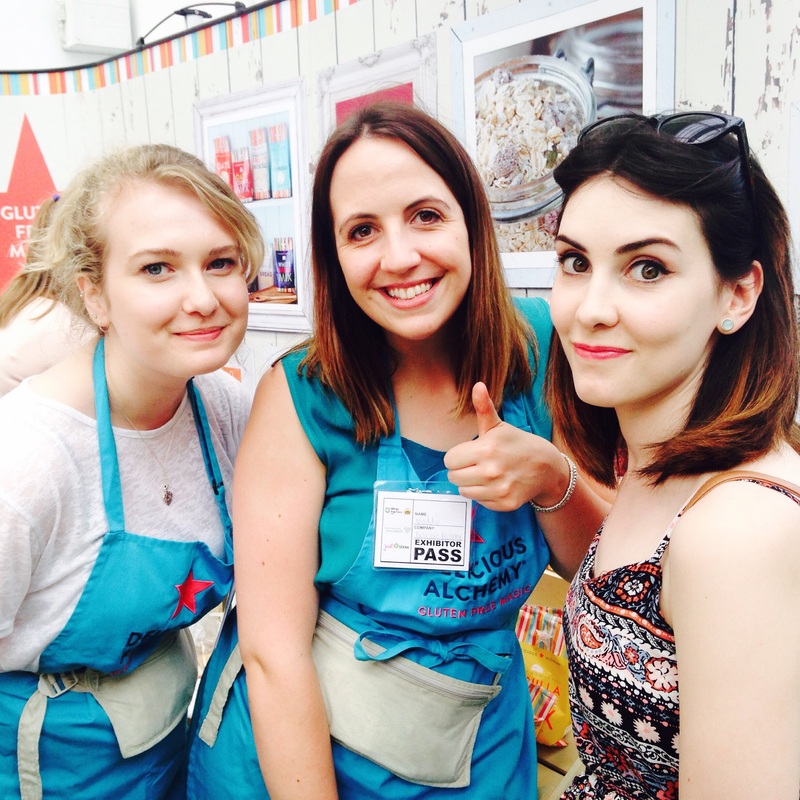 A lot of companies had signs up stating any allergens that their products might contain, but be sure to double check with the stall holders before you sample anything – they were all really friendly and more than willing to help. There were also other things to do at the show besides shopping, including cooking and baking demonstrations and a ‘speakers corner’ where people could share their experiences. There was also an activity for children called ‘Allergy Adventures’ which helped educate children with allergies on how to stay safe and healthy. 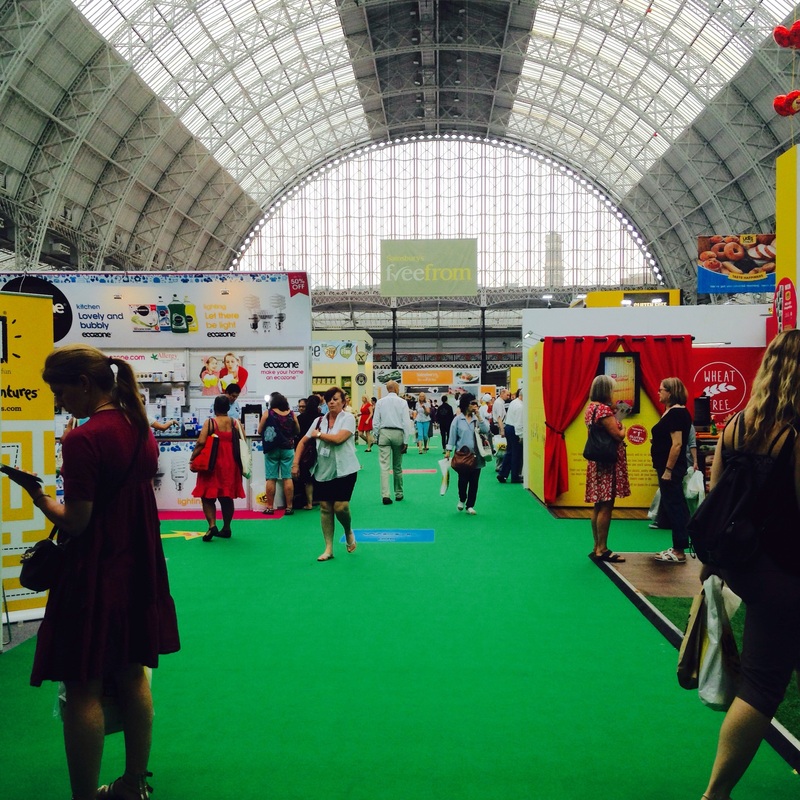 In the same hall there were two other food shows, the Love V show (for Vegetarians & Vegans) and the Love Natural Love Organic Show – both of which you could also attend if you had tickets to the Allergy and Free From Show. Overall, I was highly impressed with the amount the show had to offer and I had such a lovely time meeting like minded people and chatting to the companies about their products. This year you could get hold of free tickets for the show which meant more to spend on bargains so it was totally worth attending! I heartily recommend this show to everyone, including those who might have friends or family who suffer from food allergies, Coeliacs Disease or IBS. Just a few of the bargains I picked up at the show! Tomorrow (Sunday 5th July) is the last day you can catch the show at London Olympia but if you miss it, there is also a show in Liverpool on the 7th and 8th of November 2015 and according to their website they are planning to launch a show in Scotland in March 2016. 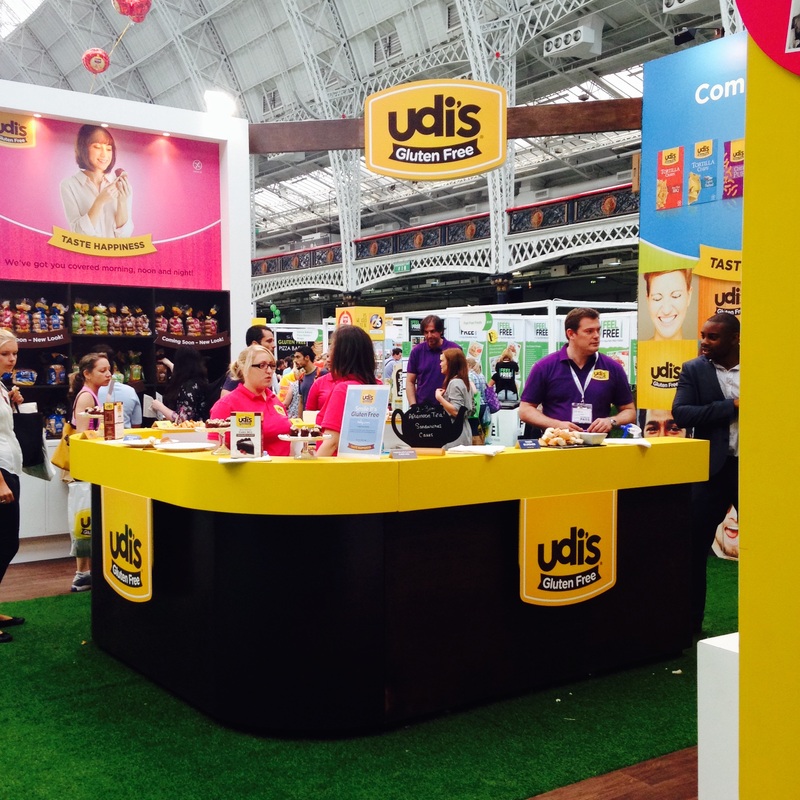 For more information visit: http://www.allergyshow.co.uk/london/ or for a full list of exhibitors click here.